Using a model tunnel manganese oxide with the todorokite crystal structure (T-MnO2), we demonstrate that controlling the morphology of the active material can improve the cycling stability of intercalation battery electrodes. The T-MnO2 structure is built from tunnels that provide spacious 1D diffusion channels for charge-carrying ions. Taking advantage of the unique ability to synthesize T-MnO2 in the form of both highly crystalline two-dimensional (2D) nanoplatelets and one-dimensional (1D) nanowires through a facile hydrothermal growth method, we investigated the effect of nanoscale particle dimensions on reversible battery cycling. Insertion of ions into the tunnels results in anisotropic expansion of the structure, making T-MnO2 with different morphologies an excellent model platform to understand how intercalation-induced volume change, typically leading to the deterioration of the electrode performance over extended cycling, can be controlled through synthesis of targeted morphologies. 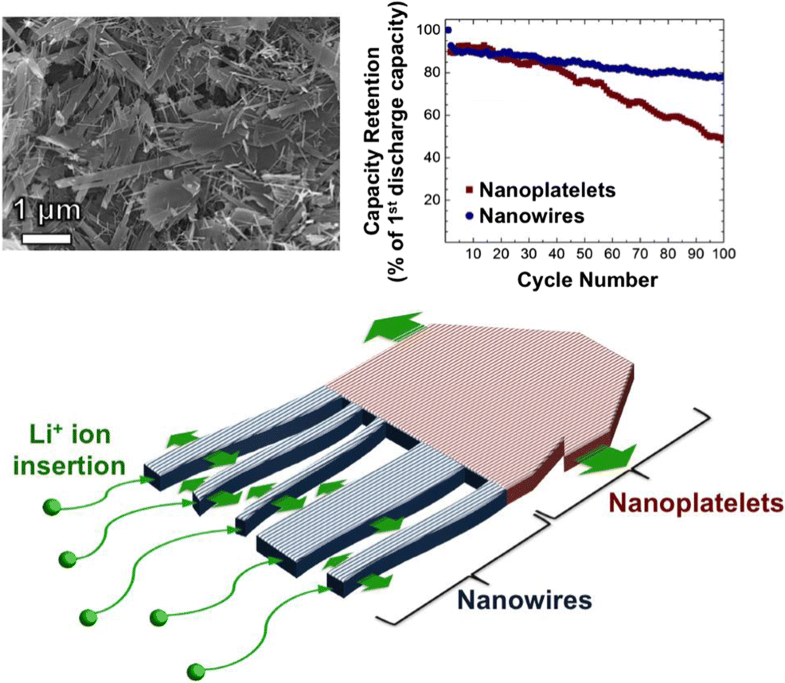 T-MnO2 nanowires showed not only significantly improved capacity retention but also substantially higher specific capacity than the T-MnO2 nanoplatelets. The enhanced electrochemical properties of the nanowire electrodes could be attributed to the larger surface-to-volume ratio than that of nanoplatelets, resulting in higher contact area with electrolyte for the nanowires. 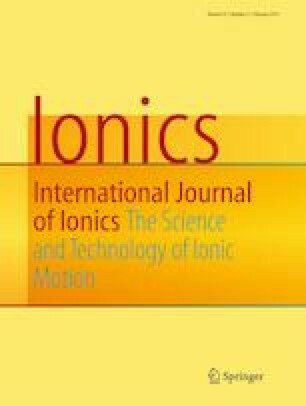 Moreover, due to the smaller cross-sectional area of the nanowires, volume expansion and contraction perpendicular to the structural tunnels induced by reversible ion intercalation occurs in a more facile fashion. This work shows that chemically controlling morphology and producing particles with nanostructure dimensionality replicating that of atomic structure (i.e., 1D morphology and 1D structure) makes it possible to enhance material performance. The online version of this article ( https://doi.org/10.1007/s11581-018-2715-z) contains supplementary material, which is available to authorized users. EP and BB thank the Drexel Core Facilities and staff for assistance with materials characterization and Dr. Yury Gogotsi and Tyler Mathis from the Drexel Nanomaterials Group for carrying out gas sorption experiments. Aberration-corrected STEM imaging was conducted at Oak Ridge National Laboratory’s Center for Nanophase Materials Sciences, which is a US DOE Office of Science User Facility. This work was supported by the National Science Foundation under Grant No. CBET-1604483.